We’ve seen this link on more than one occasion over the past few years, and yesterday Chilean outlets Lanancion and Emol once again reported that Liverpool were considering a deal for Gary Medel – the defensive midfielder nicknamed ‘Pitbull’. The reports claim that Inter Milan have made the 28-year-old available, providing a suitor puts up €16m for his services. They suggest Liverpool are interested in paying it after Jurgen Klopp saw Medel’s impressive form this summer at the Copa America for Chile – the eventual winners of the tournament. Medel is about as feisty, aggressive and relentless as a midfielder can get. He loves to tackle, intercept and in short, rough up the opposition until a point where they’re no longer up for the fight! 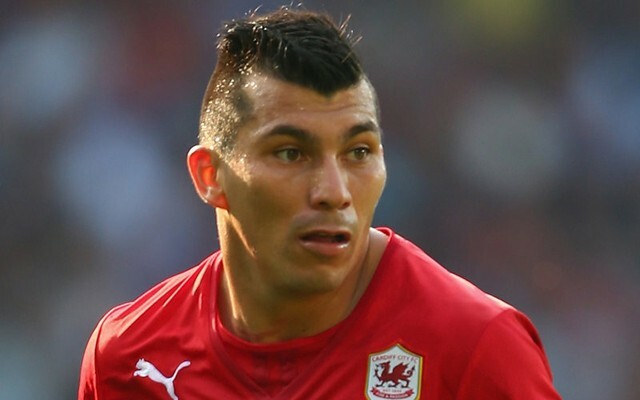 Medel played for Cardiff during their Premier League season in 2013/14, which may put off some Reds – but as a potential replacement for Lucas (if the Brazilian leaves) – he might be a handy signing. His mentality and physicality suit Klopp to a tee, and there are times when our midfield undeniably needs an injection of bite and nastiness. Medel would provide that, although there’s been no confirmation from a reliable Liverpool source that the reported interest is genuine, with current focus on the imminent deals for Georginio Wijnaldum and Ragnar Klavan (via Telegraph).